The Waterfront Centre is a busy place in the downtown core of Vancouver, British Columbia. The Waterfront Centre in Vancouver, British Columbia is a place to sit and enjoy the view or explore the stores, hotels and restaurants. 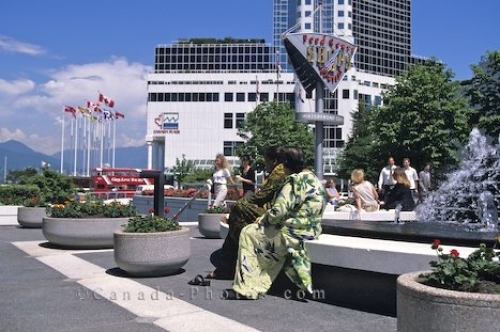 On sunny days, many business people relax by the fountain on their breaks around the Waterfront Centre. Picture of the centre along the waterfront in Vancouver, British Columbia, Canada.